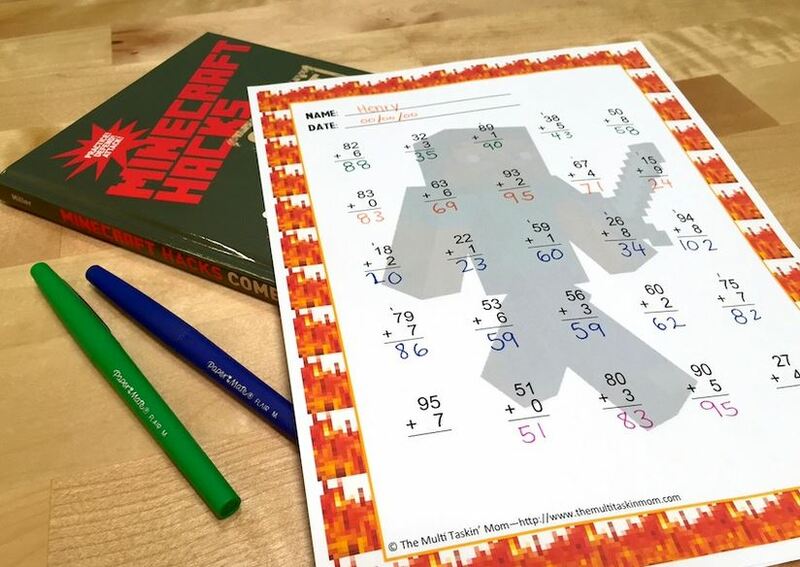 Download Multi Taskin’ Mom’s FREE Minecraft Themed Addition Worksheets. These fun math worksheets include single digit to double digit addition, making this freebie useful for Minecraft kids ages 5 to 12. Attention all teachers and fellow homeschooling families! New users can head over to Educents.com, a daily deal site featuring educational material, and sign up to receive a FREE $10 gift card to spend on their site – exclusively for Saving Toward A Better Life readers! The $10 gift card will be sent to you by email and you will have 6 months to spend it! You can use your $10 gift card on anything at Educents! You can find deeply discounted resources and lots of great printable packs sometimes for $5 or less (making them FREE after your credit!). Plus, you can almost always find a freebie on Educents too! Educents is a flash deal site for discounted educational products! If you are an educator or homeschooling family, check them out today!